The Air Force Academy football season kicks off in less than a month, with the Falcons taking on Morgan State to open the season on Saturday, Sept. 5. The Falcons look to build on a 2014 season where they finished 10-3, with a 38-24 win over Western Michigan in the Famous Idaho Potato Bowl. USAFA will take on Navy on Oct. 3 and Army on Nov. 7. The Academy won last year’s Commander in Chief’s Trophy, for the winner of the triangular rivalry between the service academies. The Air Force has won the trophies the most of the three, with 20 over Navy’s 17 and Army’s 6. Click below for the entire schedule. Saturday, Sept. 5: Morgan State at Air Force, 3:30 p.m., Root Sports(regional). 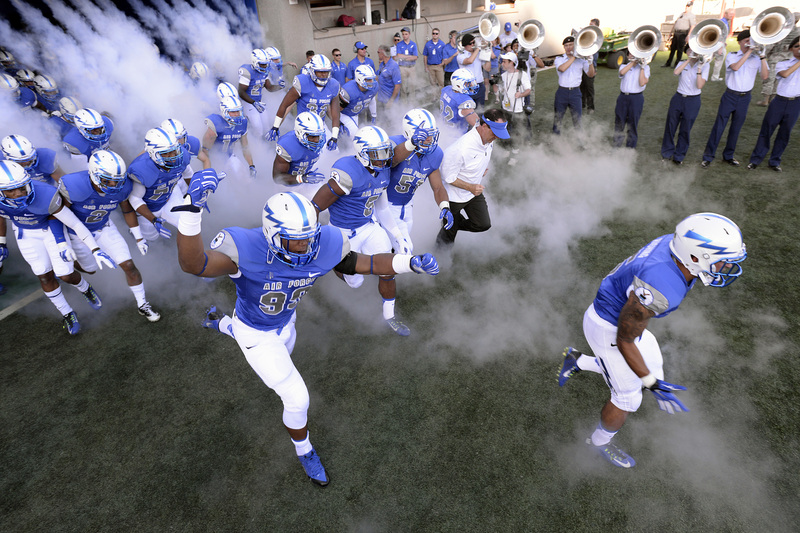 Saturday, Sept. 12: San Jose State at Air Force, 10:15 p.m., ESPNU. Saturday, Oct. 10: Wyoming at Air Force, time TBD, ESPN network TBD. Saturday, Oct. 17: Air Force at Colorado State, 3:30 p.m., CBS Sports Network. Saturday, Oct. 24: Air Force at Fresno State, time TBD, ESPN network TBD. Saturday, Oct. 31: Air Force at Hawaii, 10:30 p.m., CBS Sports Network. Saturday, Nov. 14: Utah State at Air Force, time TBD, ESPN network TBD.